Alan Greenspan had a dream, or rather a nightmare. 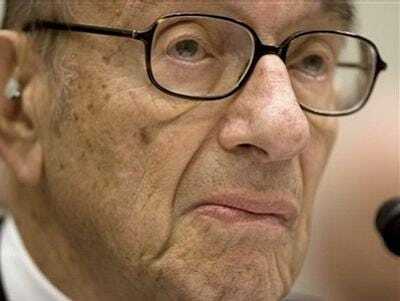 Greenspan seems to have woken up in a cold sweat one morning in fear that the period of “disinflationary pressures” that had kept inflation low since the 1990s was about to end. This was 2007, when he published his autobiographical economic treatise, “The Age of Turbulence.” Despite his well-known love for economic data, and poring over the latest reports from every statistical agency, he did not realise that he was sitting on a housing bubble of epic proportions. Not seeing the bubble (he also missed the prior stock market bubble that accumulated and burst on his watch, causing the 2001 downturn), he could not know that it would soon collapse and cause a very ugly recession, in which inflation would be irrelevant. This by itself should be enough to question the wisdom of central bankers, since the evidence for both of these world-historic asset bubbles was blindingly obvious once they had reached a certain size. But Greenspan’s nightmare is scary for other reasons, some of which will become increasingly relevant as the world economy recovers.